This Home needs some cosmetic updates as the tenants moved out suddenly. Property will be sold AS IS .The property is in a corner lot and in a nice neighborhood. New Roof and Fence was installed in March 2019. Investors will love this House. Bring in your offer as this will not last long. 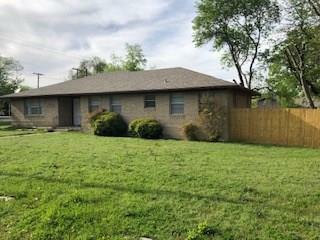 Offered by Stephen Scott of Metrotex Realty, Inc..